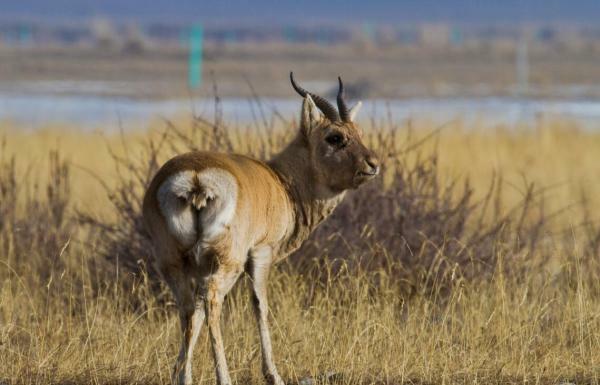 The number of Przewalskii gazelles, a critically endangered species dwelling only in northwest China’s Qinghai Province, has quadrupled to about 2,057 in the past three decades, according to the administration bureau of the Qinghai Lake National Nature Reserve, China News Service reported on March 28. The Przewalskii gazelle was enlisted in the Red List of Threatened Species of International Union for Conservation of Nature (IUCN), the world’s largest global environmental network. Statistics indicate that only 500 were left in the grasslands around the Qinghai Lake in 1988, and 529 in 2003. The number of the species almost quadrupled in the past three decades, said He Yubang, director at the bureau, adding that the rise is mainly attributed to the local government’s great efforts in protecting the species. He introduced that in recent years, the local government has tried to protect the creature through multiple approaches, including building designated watering places for the gazelles and dismantling a total of 515,000 meters of barbed wire fences used by local herdsmen to secure pastureland for their own livestock. The number of the gazelles is now, therefore, stabilizing after surpassing the population mark of 2,000, he noted.